Please note that this review contains a few spoilers. You just can't keep James Bond down for long. For fifty years, Ian Flemming's infamous MI6 agent has escaped from the clutches of death time and time again. In the opening sequence of the latest (and one of the greatest) 007 film, Skyfall, James Bond (Daniel Craig) is shot and presumed dead. And even though an obituary is written for him, death just doesn't suit our hero very well. Later in the movie, when asked by the central villain Raoul Silva (Javier Bardem) about his hobbies, Bond quickly replies with "resurrection." Over the years, 007 has escaped death countless times (one fan noted 4,662 to be exact), yet this latest "demise" gives him some time to reflect on his mortality and what is truly important to him (while recovering on some tropical island somewhere). Yet death has no power over James Bond it seems. Though quite far from the moral integrity of Jesus of Nazareth (and not counting the fact that one is the Son of God and the other a fictional character), the two do share an uncanny knack for surviving persecution and death in order to save the world. "Where, O death, is your victory? Where, O death, is your sting?" asks St. Paul (1 Cor. 15:55). In this latest incarnation of Bond, we see our hero becoming a man whose whole existence revolves around protecting the innocent and punishing those who oppress, persecute, and destroy. And with this as his central mission, death truly has no power. We love watching Bond in part because we wish we could do all that he does - and with such class and sophistication. It's impossible, right? To some extent, yes. We are not British secret agents with a license to kill. But to some extent, we can be like Bond. 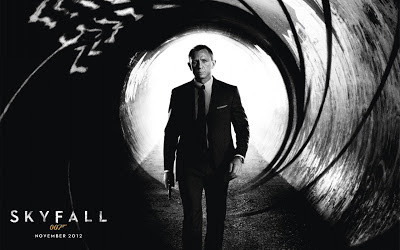 Bond has his convictions: to protect, defend, and out-maneuver those who hurt others. Should this not also be our mission? Jesus instructs us to protect the defenseless and "be as cunning as snakes, yet as harmless as doves." (Mt. 10:16). How do we stand for the vulnerable - the unborn, the poor, the persecuted, and the marginalized? If and when we do this, we are honing our inner James Bond. Bond also has his obedience. No matter how unconventional his methods, he is loyal to Britain and in particular his demanding boss M (Judi Dench). Whatever he may think of her prickly personality or rejection from the agency or the bureaucrats, he will always put aside his self-interests in the service of Mother Country. The same should apply to us. While we may think ourselves fully capable of doing anything, there are times we must be obedient to those in authority (from those on this earth to God above in heaven) who have a bigger picture than us. It can be challenging to do in this in an age of individualism, but it certainly does Bond well. Why not us too? Finally, Bond has a respect for traditions. From his martini choices (shaken, never stirred) or his vehicle of choice (the Aston Martin DB5, which makes a nice return in Skyfall), Bond is a traditionalist. In this movie's final act, Bond says "It's time to go back to the past." The only way to defeat his nemesis Silva is to bring him into his past, whether he is proud of it or not. The same must go for us. When we keep to the traditions of our faith, our country, and our own experience - not being caught up in the brightest, shiniest object of the present moment - we can do great things. Let us not forget where we come from, and the principles that have guided us for years. When we stick to our core convictions, our traditions, and obey higher powers, we can become our own version of James Bond. And if we live with integrity, compassion, love, and fidelity to God, then we can not only evade death like 007, but we can conquer it. "Death will be swallowed up in victory," St. Paul says (1 Cor. 15:54). When we live as Christ with conviction, tradition, and obedience, death will truly have no power over us.